Man of the District is an 8-year-old event that has raised more than $70,000 for Children’s National Medical Center with every dollar staying in the District. Funds support research and training, purchase equipment, and pay for uncompensated care in support of the center’s mission to save and improve the lives of as many children as possible. 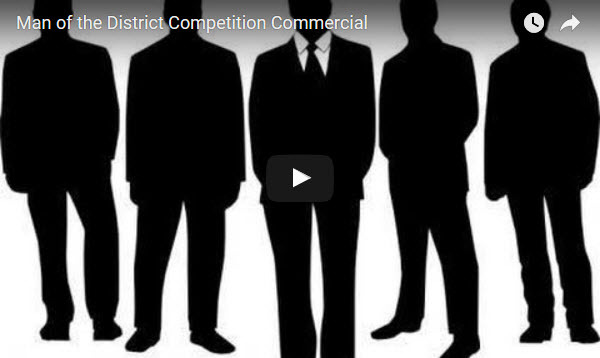 Competition will begin at 7 p.m. Each candidate will present a 90-second talent of his choosing, model business wear, and answer an impromptu interview question related to the District. Half of the available points for competition are awarded for fundraising efforts and advance ticket sales. The Man of the District competition is produced by Don Michael Mendoza, Executive/Artistic Director of LA TI DO Productions in partnership with the Miss District of Columbia Scholarship Organization.